Deliver & earn up to $25/hr + tips. No vehicle restrictions - drive, ride or even walk. Apply to become a DoorDash Dasher here and qualify for up to a $300 starting bonus. What does being a DoorDash Dasher entail? Deliver food and other items from local merchants to customers. What's required to be a Dasher? You must be 18 years old and have an iPhone or Android smartphone. You can use any car to deliver, as long as you have 1 year of driving experience, a valid driver’s license, insurance, and a clean driving record. Yes - commercial auto insurance that covers up to $1,000,000 in bodily injury and/or property damage to third parties arising out of accidents while making a DoorDash delivery in the United States. Are other vehicle types allowed? Yes, you can use motorcycles, scooters, bikes, or even walk in some markets. See the list of vehicle types when signing up. 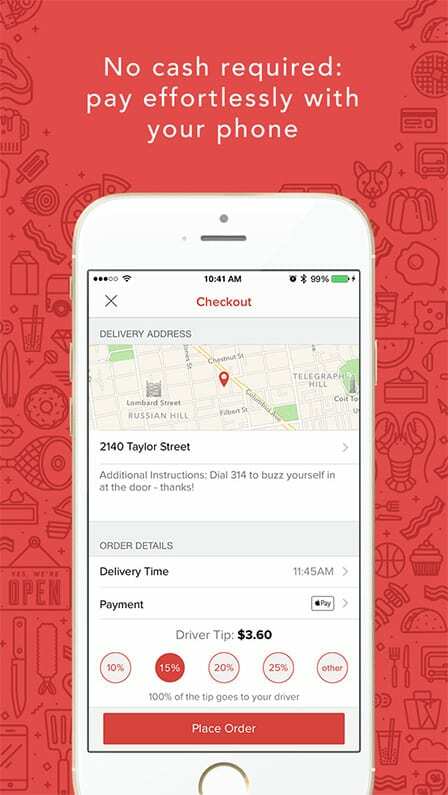 DoorDash is an on-demand logistics platform that connects local restaurants and businesses to customers. 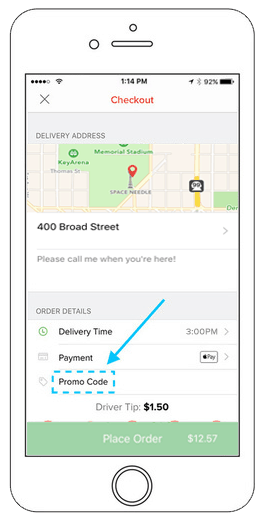 Place an order online or through the free app, enter DoorDash promo code: PA7 at checkout and they will receive it, send it off to the restaurant, and assign a Dasher to pick it up and bring it right to your door - all in about 45 minutes. 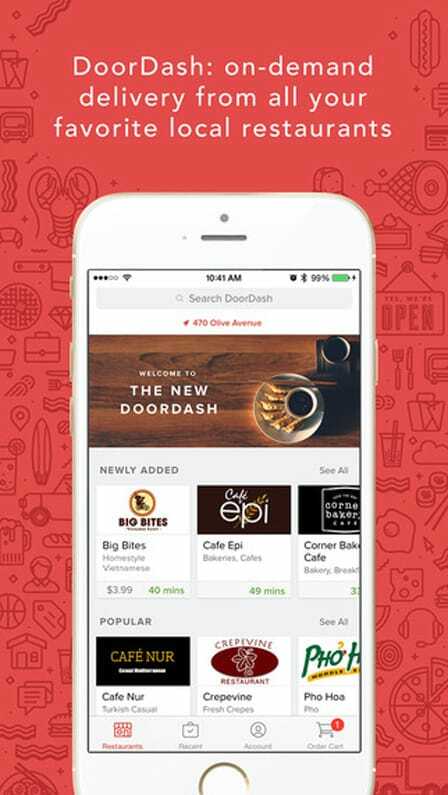 DoorDash currently serves over 250 cities in the U.S. and Canada including: Atlanta, Bellevue / Seattle, Boston, Brooklyn, Charlotte, Chicago, Columbus, Dallas, Denver, East Bay Area, Houston, Indianapolis, Los Angeles, L.A, Valley, Manhattan, Minneapolis, Orange County, Phoenix, San Diego, San Francisco, San Jose / Silicon Valley, Toronto, Washington D.C. and Vancouver. DoorDash promo code: PA7 is valid in all markets. A current list of cities is available here. DoorDash promo code: PA7 is valid anytime. 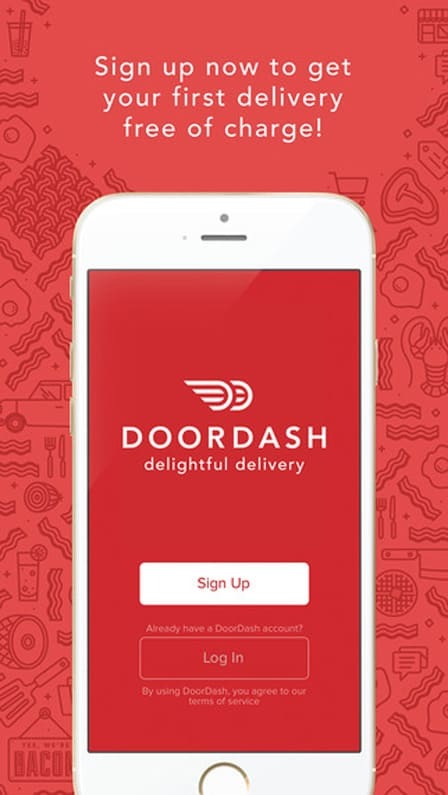 DoorDash started in 2013 in San Francisco, CA by Stanford students Evan Charles Moore, Andy Fang, Stanley Tang and Tony Xu. Being a slightly newer on-demand service platform, DoorDash was able to identify and fix many inefficiencies similar services faced with a more hands-on, logistics-based approach. Using this model, DoorDash strives to be the most efficient on-demand food delivery platform. 1) Sign up online or on the mobile app. 2) Build your order and proceed to checkout. 3) Enter promo code: PA7.